It’s late, I’m listening to PIL and trying to study for my quiz. 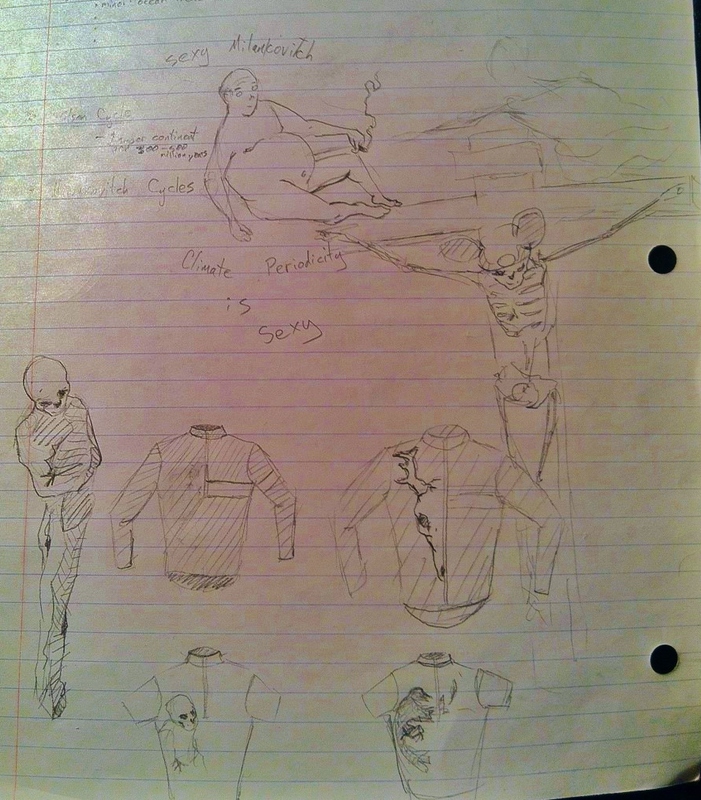 As usual I get caught up doodling and planning out the next cycling jersey that I’m going to sew. But at least I have a drawing of our wonderful Milutin Milankovitch! Clever lil’ fart! I have always wondered how illustrators for science text books get their jobs. ‘Cause man, I’d rather see my illustrations than theirs! Their illustrations are always so dull and homogeneous.